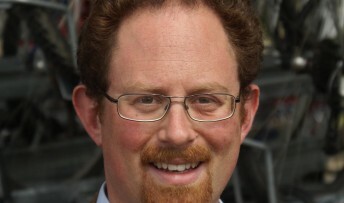 A leading mental health charity is hoping to work with the government to improve support for people with mental illness thanks to Cambridge MP Julian Huppert. Representatives from Rethink Mental Illness took their concerns about the benefits system and employment support to Mike Penning, Minister for Disabled People after Julian set up the meeting on Monday (November 11) in Westminster. Now they plan to share the findings of an employment intervention pilot project with the Minister as soon as they are available. Paul Jenkins, CEO of Rethink Mental Illness and Paula Reid, the charity’s Senior Policy Officer attended the meeting. Mr Jenkins said: “It was a very useful meeting and provided an excellent opportunity for us to discuss employment support and benefits for people with a mental illness. We spoke about the need to ensure that the benefits system is fair for people with mental health problems and that those who cannot work are given proper support. Through the Innovation Network, Rethink Mental Illness has been working with NHS and independent mental health provider organisations to turn recommendations from the Schizophrenia Commission into countrywide change. It will initially focus on trialling interventions in five areas including supporting people with mental illness into employment. Julian said: “This meeting was a good opportunity for the Minister to hear how this government’s policy is directly affecting those people with mental illness who are required to take part in these assessments. “I am concerned that their complex needs are not being taken into account and the charity has first-hand experience of how these people are struggling. We want to make sure that those who can return to work are given the support to do so; but we also need to make sure that we recognise and help those whose illness prevents them from doing so at the present time.